How to explain stranger danger to children, a former police officer explains. "As a police officer, dealing with distraught parents was the worst aspect of my job." As a police officer, it was the worst aspect of my job – dealing with distraught parents who couldn’t believe it had happened to them. Their worst nightmares had come true and tragedy had struck their precious child. Being a mother of three, I would see myself reflected in their eyes. Like them, I had seen statistics or a story and secretly thought, “Those poor people. But I’m a good parent so that will never happen to my kids”. Then I’d find myself consoling other good parents, starkly reminded that no one is immune from becoming a headline. “What could we have done to prevent this?” was the question haunting them. Often, a lesson they should have taught their child to improve their chances of safety was the answer. But parenting is a difficult, hectic job, and teaching safety lessons to our kids is usually a low priority on our busy agenda. Also, many such topics are difficult for young children to grasp and parents to clearly articulate. So this became my mission. How can I create tools that make safety topics fun for children to learn and easy for parents, carers and educators to teach? Teamed with my husband, an expert in accelerated learning, we first tackled the tricky topic of body boundaries with My Underpants RULE! We were astounded by the positive reaction of parents, carers, educators and most importantly children around the world. Clearly there is a need for resources like this. 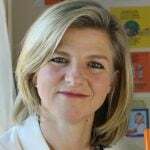 Kate is the author of two books that distil tough subjects into child friendly material.Image: Supplied. Lately, I’ve been intrigued by the issue of stranger danger. Because we’ve woken up to the fact that child abuse and abduction is more likely to be carried out by someone with a close relationship to the child, it seems to have taken a back seat in the public consciousness. But it still happens! The too-frequent warning emails I get from my children’s schools and stories I hear from other parents tells me “the bad men” haven’t gone away. Yet, teaching “stranger danger” seems to have fallen out of favour, and I get it. Apart from strangers being undoubtedly the minority of offenders, it can easily make children fearful of all strangers, which may affect their overall confidence. And the term itself implies someone who is dark and scary, so when approached by someone “nice”, the warnings get forgotten. Numerous social experiments have shown how most young kids will leave with a complete stranger within 30 seconds if they’re told the person’s name, given a treat or shown a puppy, despite being repeatedly told “Don’t talk to strangers”. Tips for confidently aware kids. First, introduce the topic with your kids in an engaging way. Children seldom take notice of safety lessons if they’re too serious, so make it fun and interesting. We’ve found that rhyme works really well as a memory aid, coupled with appropriate humour, so long as the message is clear and concise. Introducing the concept of “Tricky People” who may trick them is regarded by most experts as more effective than stranger danger. Specific behaviours (tricks) are easier for a young child to identify, rather than the type of person to watch out for. We also need to clarify these tricks for them by asking different scenario questions. For example, “What would you do if a stranger asked you to help them find their puppy?” Like a dress rehearsal, the more they practice the better they’ll get at spotting the tricky behaviours and the better decisions they’ll make. Installing a blanket rule to ALWAYS ask for permission from whoever is looking after them before they do anything with a stranger is paramount, as well as giving them permission to yell and scream if they are ever grabbed. Together, these strategies allow your child to be confidently aware, venturing into the world with very clear boundaries of what they should and should not do. My final tip is to dedicate time to discuss this lesson with your child. Using a book is a great way to carve out space in your busy day to focus on the things that really matter and to open up the lines of communication about difficult subjects. I can tell you, investing some time now is much better than regretting not having done it for the rest of your life. 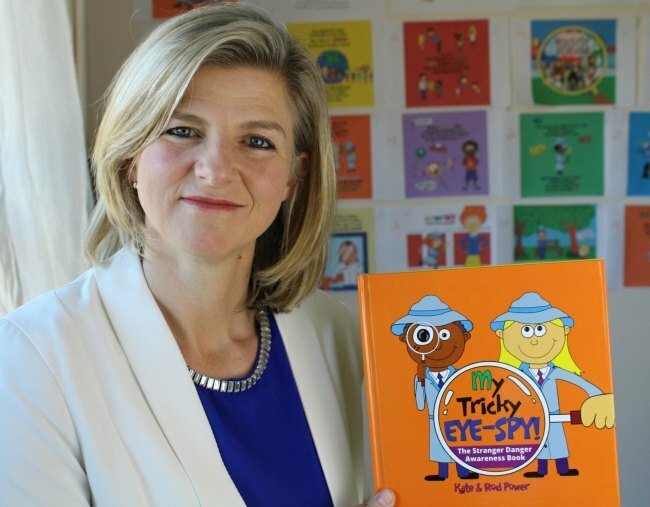 Kate Power is co-author of the newly released, My Tricky EYE-SPY! - The Stranger Danger Awareness Book, which you can find on Kids Rule Publishing. Stranger danger is one thing, but how do you keep your children safe online and on apps like Musical.ly? The Project talks to a cyber expert.